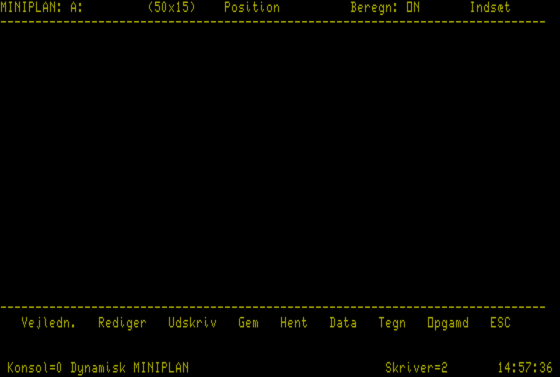 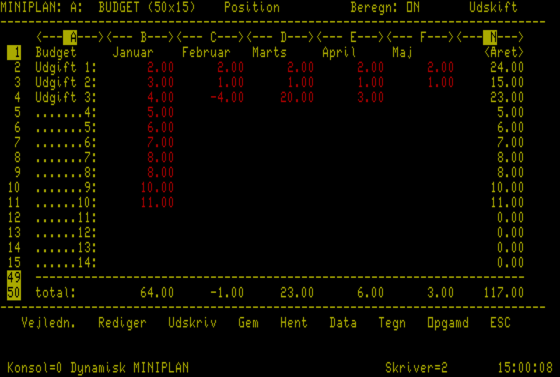 A small spreadsheet application in Danish, by Carl Hemmingsen and Palle Skaarup from Forlaget FAG. 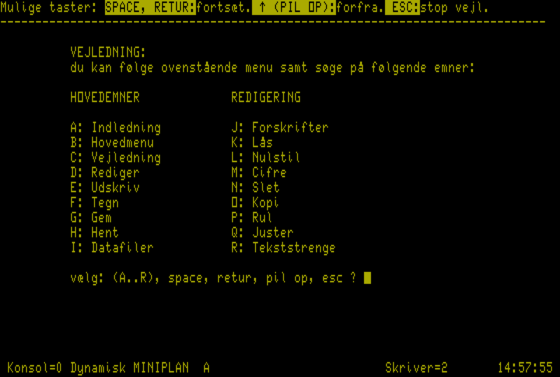 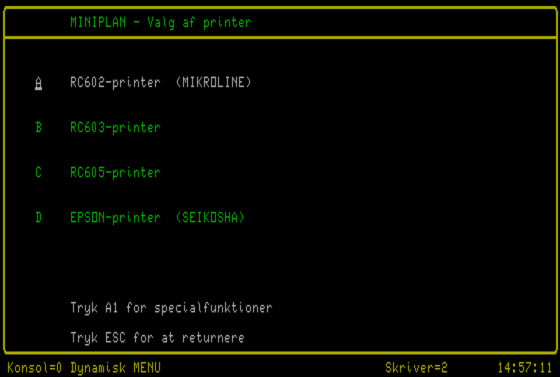 Version 1.12 from February 1987. 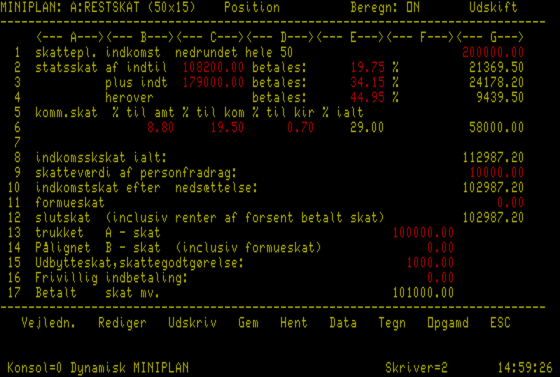 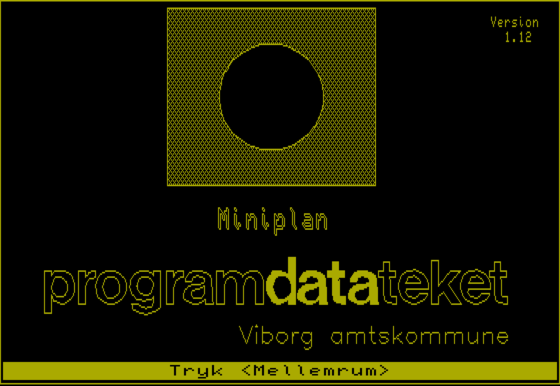 The software was distributed by Programdatateket, Viborg municipality. 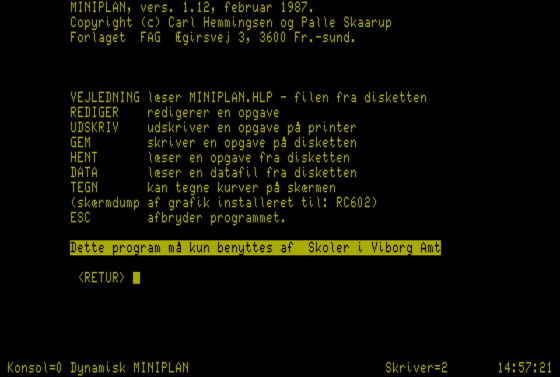 The disk is bootable.